Keno is one of the most popular casino games on the Web and offline, and any worthwhile and well-established online casino will have at least one keno variant. As luck-based game, you select numbers you think will be drawn on your playing card and wait for the balls to be drawn to see if you have any winning numbers. It’s simple, and fun. Keno can be addictive and enjoyable, but sometimes you might feel need the need to have a break from keno with games that are a little different. We have gathered what we consider to be the best alternative games to keno, and all of them are similar in some way, so if you like keno we’re certain you’ll be a fan of our recommended games too. Bingo is probably the game most similar to keno. In both, you’re hoping your numbers will be drawn and crossing your fingers for a win. 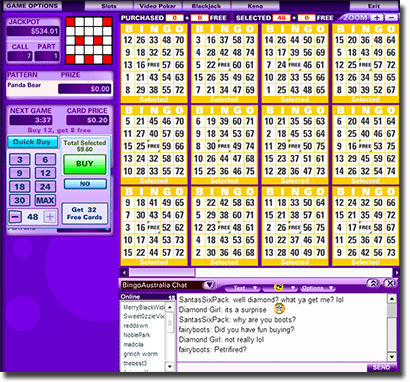 Keno requires more input from the player, as you have to select the numbers you wish to play with. Bingo on the other hand has playing cards you can purchase with pre-selected numbers on it. This makes it easier to play, and if you find the process of choosing your own numbers in keno tiring then bingo could be a good alternative. Bingo is also generally cheaper to play. Typically in keno, it costs more money to add another number that you think will be drawn, sometimes playing ten numbers for the one game can be relatively expensive. Housie on the other hand can be extremely cheap, with many online bingo sites hosting free rooms where games or totally free or playing cards can cost as little as five cents. This means it’s very affordable to have multiple playing cards in the one bingo game. We recommend playing online bingo at True Blue Bingo, Aussie Dollar Bingo, Kitty Bingo or Lucky Pants Bingo. All have bingo rooms running all day everyday and have playing cards going for a range of prices. Roulette relies totally on luck, just like keno does. There aren’t any strategic moves you can make to better your chances of winning, apart from placing more bets or selecting more numbers – however this can obviously lead to more losses as well. 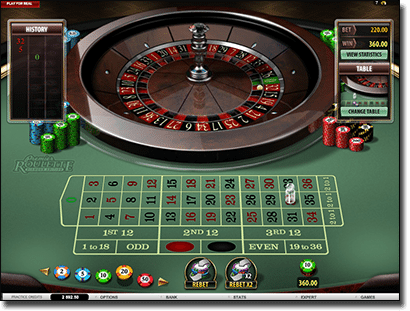 What makes roulette a good break from a game of keno is that there is more variety within the basic gameplay, and more betting options available to the player. Rather than just choosing individual numbers like you do in keno, in roulette you can also bet on groupings of numbers, on red or black and on odd or even – or you can stick with single numbers if you so choose. Roulette is also a faster paced game than keno, especially when you’re playing online. In online roulette, you can commence the roulette spin as soon as you’ve placed your bets and find out the outcome instantly. If you’re looking for game that has more flexibility in its betting options and is quicker than keno then roulette is a good option. 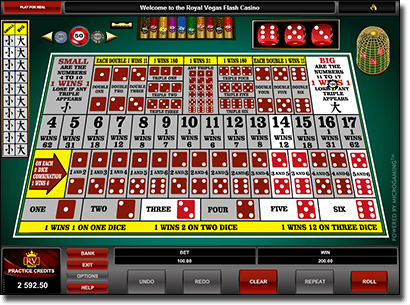 Royal Vegas Casino is a great place to play roulette, it has a number of different roulette variants that you can play for free or for real money. Plus Royal Vegas Casino has high quality gaming software that you can download for free or you can play flash-based versions of the games instantly. 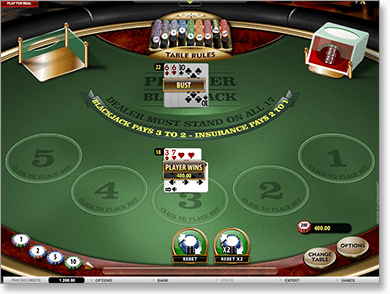 Some of its types of roulette include Premier roulette, American roulette, multi-wheel roulette, European roulette and French roulette. Blackjack is quite different to keno, in that it’s a card game and requires an element of skill. With the right strategic moves you can increase your chances of winning whereas in keno you have no control over how the game turns out however this is exactly why blackjack can be a nice change from keno. Blackjack is more interactive and it needs you to make decisions and drive the game forward, which can be a refreshing change from keno where you’re mostly watching the game unfold. G’Day Casino is an excellent Web casino that has all sorts of blackjack variants including; American blackjack, blackjack pro, classic blackjack, 21 burn blackjack, double exposure blackjack, European blackjack, pontoon, sixth sense blackjack and super 7 blackjack. There is also live dealer blackjack were you have a real person croupier dealing you your cards live via a video stream. Sic-Bo is similar to keno in that you’re guessing numbers in both, but in sic-bo you’re trying to guess what numbers three dice will roll. If you’re unfamiliar with sic-bo think of it as a dice version of roulette, rather than guessing where a ball will land on a roulette wheel you’re betting on different ways the three dice may land. For example, some betting options in sic-bo include; whether two dice will land on the same number, on possible sums of the dice, on whether any specific number from 1 – 6 will be rolled at all, and there are many more betting options. Like roulette, there is more room to bet in a variety of ways in sic-bo than there is in keno however bets in sic-bo are more number based like keno. Sic-bo is a more unusual casual style casino game so it isn’t offered at all virtual casinos. 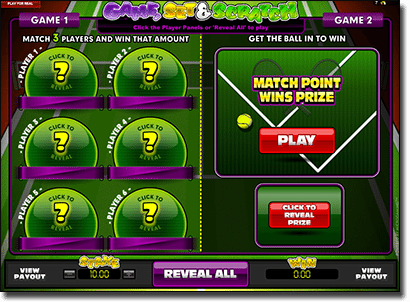 If you want to know if your regular online casino has sic-bo search for it under ‘Other Games’ or ‘Casual Games’. All Slots Casino has an excellent version of sic-bo that you can play for free or for real money. Think of online scratch cards as simply virtual versions of scratchies you purchase in real life. You pay a certain amount to purchase a scratch card and then you click (rather than scratch) the squares on your card to reveal icons underneath. Certain combinations of icons, or multiples of icons will win you a prize. Playing virtual scratch cards is quite like keno in that it’s all up to chance but there is still a nice ritual in how you find out the outcome of your game. 7Sultans Casino has an excellent selection of scratch cards all in different themes and styles. Some of its scratch card games include; Phaoraoh’s Gems, Dawn of The Bread, Game Set And Scratch, Mumbai Magic, Cashapillar, Foamy Fortunes, Plunder The Sea, Bowled Over, Golden Ghouls and many more.